I’d been riding in traffic all my life and like most other experienced cyclists, always felt like I was at the mercy of lousy and distracted drivers. All that changed when I took the CyclingSavvy course back in 2013. Since then, I’ve been using the amazing bag of tricks I learned to travel safely and confidently on all types of roads and in all types of traffic. While most bike accidents involving motor vehicles are the fault of the motorist, it is actually within the power of the cyclist to avoid and prevent those accidents. It’s like having Jedi mind control over the behavior of the motorists around you because you learn how to get their attention, their respect and their cooperation. Motorist incivility and horn honking has all but vanished from my bike rides and I wish all cyclists realized that this was possible. I was so impressed with the training quality and the new freedom it provided, I became a certified CS Instructor in early 2014. CyclingSavvy gave me the tools and confidence I needed to start commuting to work at Lockheed Martin by SunRail/Bike when SunRail first opened in Orlando in May, 2014. Cycled 7 miles each way on Sand Lake Rd, during rush hour. Turned out, it was the least stressful part of my day! 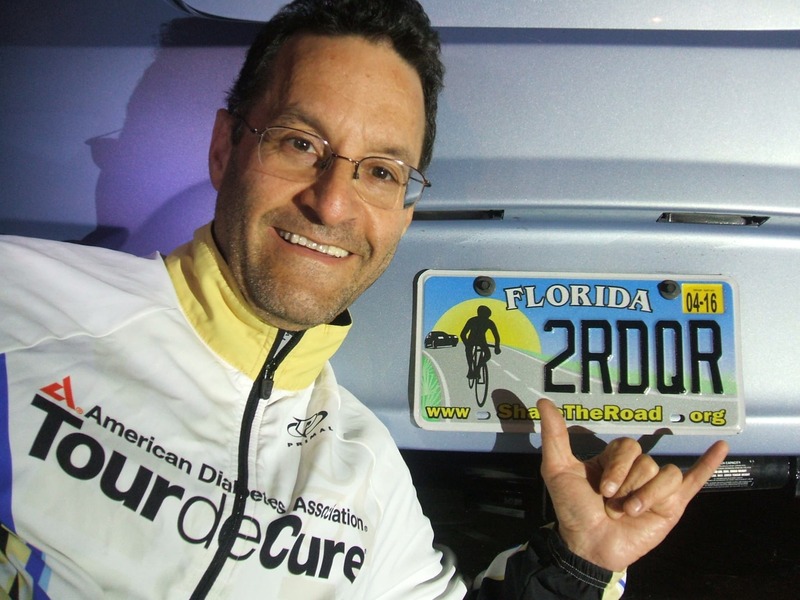 I’m also the Bike Route Planner for the annual Tour de Cure fundraiser bike ride in Orlando and founding captain of the Lockheed Martin Tour de Cure cycling team.